I'm introducing fun to the blog, a monthly blog feature that will introduce amazing bloggers through the medium of music. Sometimes describing yourself is difficult, so why don't we let music do the talking? 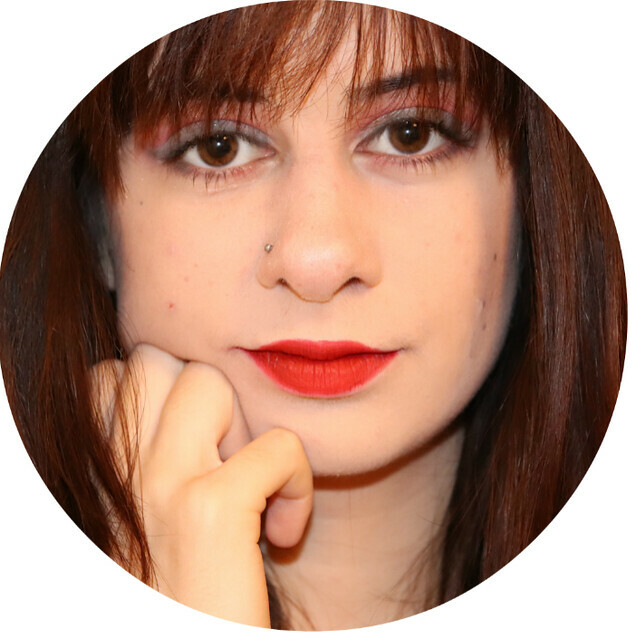 I was lucky to get to know Amber (Happily Having No Idea What I'm Doing on Wordpress) on twitter. We have came up with an idea of 'playlist swap' where we exchange 10 songs that mean something to us, with a brief explanation provided for each song. In this two way process, the aim is to get to know a blogger through listening to the songs that they love. 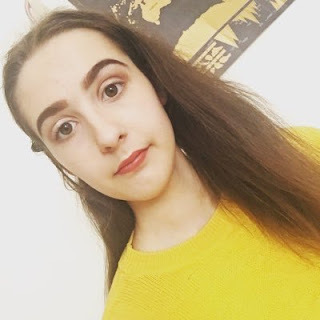 Amber has already posted her post about my playlist here, be sure to check it out! Without further ado, I present to you Amber's playlist. Her words are in italics and mine are normal text. My thoughts: This sounds like a sweet country tune! I love the guitars, it takes me back to a place full of cowboys who are flirting with some cute girls. My boyfriend recommended this song to me and we both have a right bop when it comes on. It's such a positive message too! My thoughts: There's no surprise that this song makes me want to dance. There's nothing worse than bands focusing on a catchy tune but forgetting to include some meaning in the song. Luckily these guys managed to to stick to a meaning - not giving up. I think it's a great message to spread. Again wow just childhood tunes. Basically if you listen to any artist on here in detail it's Counting Crows. I'm addicted. I just love the climax of this song and I get really emotional so I chose this one. My thoughts: First things first, the singer's voice is beautiful. Some voices are better at expressing emotions than others. I also love how the song builds up musically, the riffs are also fantastic. When I did GCSE music in school, we used to wait in the classroom before class and blast out songs. This was always one we played a lot. I don't think anyone dislikes this song. My thoughts: Good old Green Day. They have so many songs, so naturally I don't know every single one. Luckily Holiday/Boulevard of Broken Dreams is included in the 'songs by Green Day that I know' list. What can I say, such a tune! My thoughts: Wow so refreshing to see a song by The Killers other than Mr Brightside. They actually have a great selection of fantastic songs, like Miss Atomic Bomb. I can't believe that Battle Born was released in 2012, it feels like yesterday! Okay so this song came around the time the singer died, which was emotional for me. It was also the time my grandpa passed away. It was a comforting song at the time. A bit sad but I still love it. My thoughts: Linkin Park reminds me of my ex and our drives listening to all their albums. Even though I prefer their albums more personally, there's no denial that Chester's voice was the voice of the generation. I would also like to remind anyone who is reading this - please don't suffer in silence. There's a real protesty and feel good vibe which is me. Like the name, it's a real sing along number! My thoughts: This song is the perfect addition to every rock music club night. I may not choose to listen to My Chemical Romance, but give me this song at the club and I will definitely sing along to it with all my heart. Let's break havoc and sing (that's what feel this song gives me). This is a weird one but just the storytelling in the lyrics is so good. This is one of my favourite songs of all time. My thoughts: I love this album but unfortunately I'm not great at remembering those signature long tittles. Thank you for the reminder that this song exists! From all of the songs in this playlist, I think this is the number one for me. I love the chorus! I don't know what I love about this song so much but it's so fun. I love the style and I haven't really heard anything else like it! My thoughts: Nice to hear something else from Twenty One Pilots because I only know Heathens. So many different styles of music fused together. This is kind of like M83 but with guitars. Nice choice! I hope you have enjoyed reading this post. 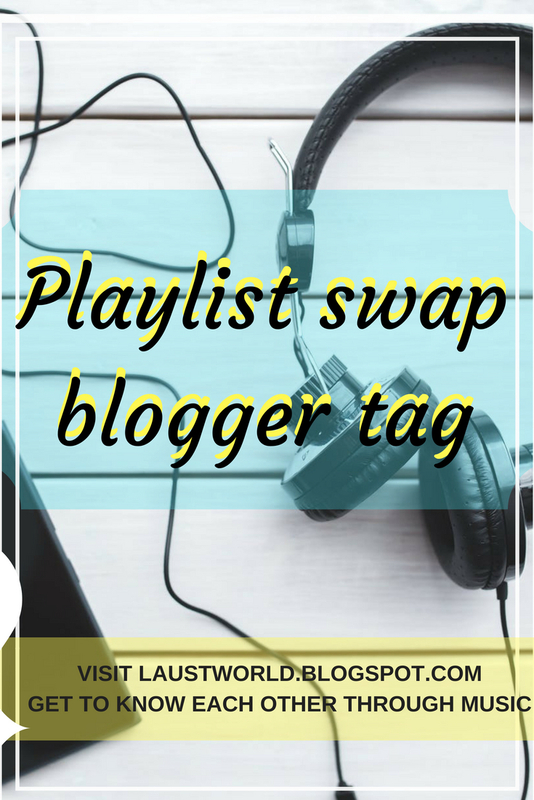 If this has inspired you to collaborate with other bloggers and swap playlists, how amazing! I am all for building community bridges. 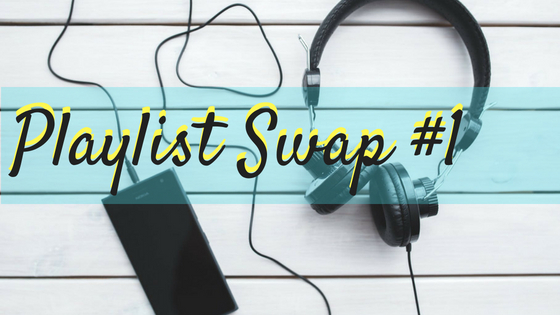 Use the hashtag #playlistswap on twitter and let the music unite us! That's the end of this fun post, have a lovely day and take care. Great post. I will defintely check out these songs.